Easter is only four and a half weeks away. I love making punch art and this little bunny is no exception. He really is a cutie. There are also a little over three weeks left to get free merchandise during Sale-a-bration. Everyone loves somthing for FREE . This years offerings are varied. 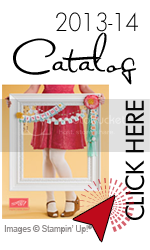 Whether you want paper, ribbon and brads, stamp sets or digital scrapbooking there is something being offered for everyone. AND during Sale-a-bration you can become a demonstrator for 125.00.